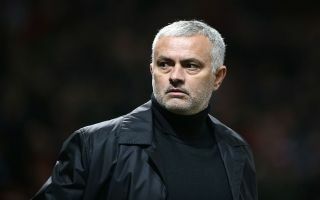 Manchester United have given Jose Mourinho a helping hand in terms of landing himself his next managerial job after being sacked by the Red Devils back in December. The Portuguese tactician has been out of work since then but AS recently linked him with Real Madrid before he was overlooked in favour of a return for Zinedine Zidane. Having missed out on that, it seems he might have another big opportunity as Don Balon claim he’s being lined up by Paris Saint-Germain to replace Thomas Tuchel. The German tactician impressed at previous club Borussia Dortmund, but has struggled liked many other managers have at PSG in terms of getting the club to make progress in the Champions League. The Ligue 1 giants were in fact knocked out of the round of 16 by Mourinho’s old club Man Utd, so it seems this result could now give the former Red Devils boss his chance at a big club again. Don Balon claim PSG are eager for Mourinho due to his winning record wherever he’s been, even if he doesn’t necessarily get his sides playing the best football. It would certainly be interesting to see how this would go down with the likes of Neymar and Kylian Mbappe, who are among the finest flair players in the world and who would surely want to combine success with stylish, attack-minded football.